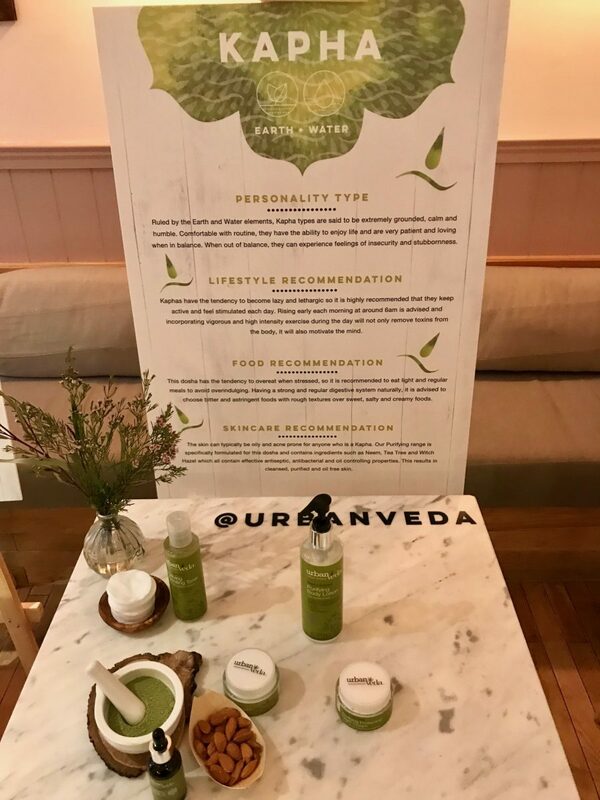 I started my day yesterday with a lovely breakfast event hosted by the fabulous Tanya Brand Director at Urban Veda. 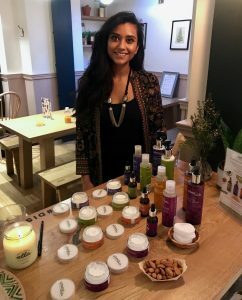 Tanya explained the Ayurvedic principles behind the brand how the products work on Mind Body and Spirit according to your Dosha! 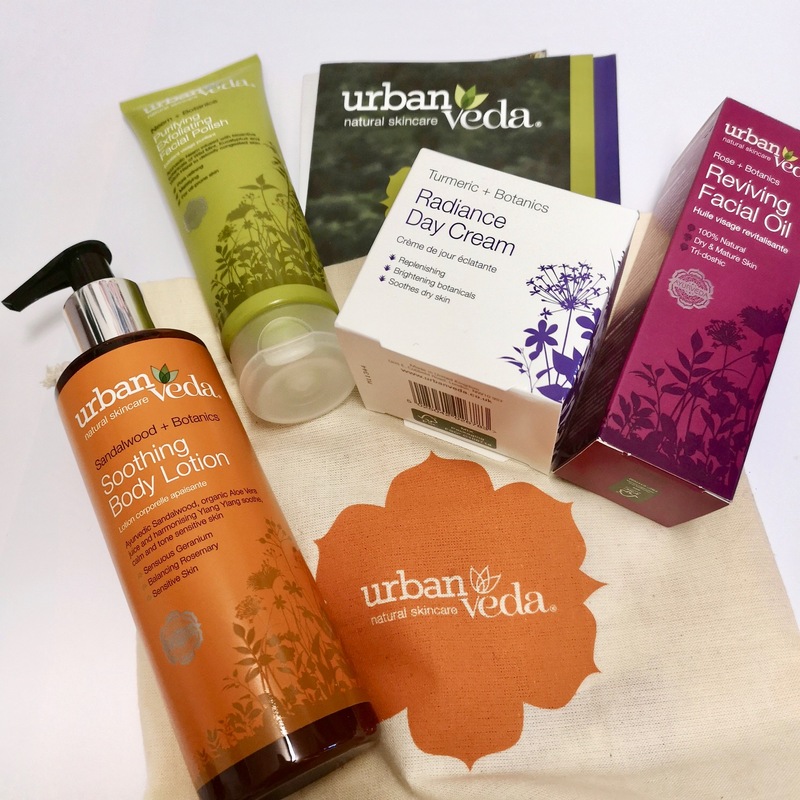 Urban Veda are unique in that all of their products are based around Dosha’s, an Ayurvedic principle. This is the Ayurvedic term to describe the physical and emotional tendencies within the mind and body. They have a little questionnaire that you can fill out that will tell you wish one is your Dosha, and then you use the range that suits this. 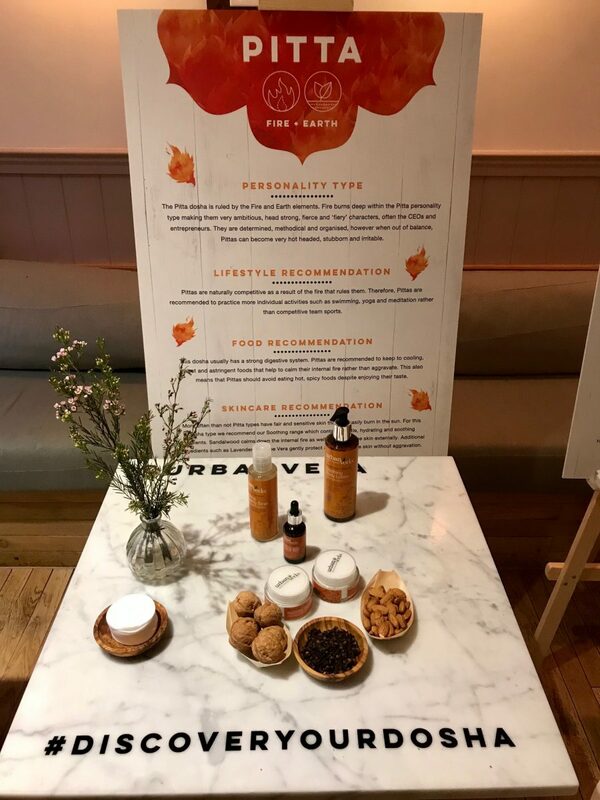 Urban Veda don’t just focus on the skincare on this – they go further and even talk about the lifestyle and food recommendations, as well as skincare – love that! We’ve included a snippet about each Dosha below, but if you’re interested in finding out more, do check out their website. Vata is defined in Ayurvedic literature by the elements air and ether. These elemental effects transpire to dry and age Vata skin, so the most vital part of a Vata skincare regime is moisturising. As one would imagine with the Vata elements air and ether, Vata types tend to spend, or dissipate, their energy rather than store it. A balanced Vata type is full of creativity and vitality, but when unbalanced, Vata types can suffer from hyperactivity, fear and anxiety and indigestion, as well as dry and uneven skin tone. Vata skin can be dry, delicate, cool, rough and flaky, and can be vulnerable to exposure and dry wind. It is important to use replenishing moisturisers, and to boost hydration by splashing your face several times when you cleanse. Pitta is ruled by the element fire. Generally disciplined and logical, this ‘heat’ frequently manifests as ambition, Pitta types are born leaders, managing and controlling their energy strategically. When in a state of balance, Pitta types have positive attributes such as charisma, focus, intelligence, a quick wit and contentment, but when out of balance, excess Pitta can accumulate as irritability, a ‘hot’ temper and unprovoked bouts of aggression. Pitta skin tends to be fair and sensitive, and the heat that Pitta can generate in the body is generally indicated by moles, rosacea, rashes, acne and a tendency to burn in the sun easily. Pitta skin needs cooling and nurturing and a soothing skincare regime. Kapha is ruled by the elements earth and water. Generally quite loving and forgiving by nature, Kapha types tend to store their energy. Kapha dosha people are the least likely to fall out of balance, but when they do this can manifest as being sluggish, slow and overweight, and mentally they can develop feelings of insecurity or envy. This over-accumulation of energy is evident in slow decision-making tendencies. Kapha skin is usually oily with large pores. Tolerant to sun, Kapha’s excess oil demonstrates a greater predilection to blackheads and needs regular detoxification. Kapha skincare regimes should be stimulating and include regular cleansing of the face (at least twice daily), and deep exfoliation at least once a week. This gorgeous breakfast was a nourishing, healthy meal that embodies the brand’s vision – of an ayurvedic and wholistic lifestyle. In Ayurveda, food is directly connected to your consciousness, invoking emotions and altering your state of mind. Positive foods can create positive spiritual qualities – increasing alertness and feelings of bliss, and on a physical level they will make you feel healthier, led to clearer skin, amongst other benefits, whereas bad foods will leave you feeling sluggish and dull – even leading to disease. Taking that time to really look at what you eat, paying attention to what you use to nourish your body, is so important, because it ultimately provides the energy that we need to thrive, not just physically but emotionally and spiritually too. 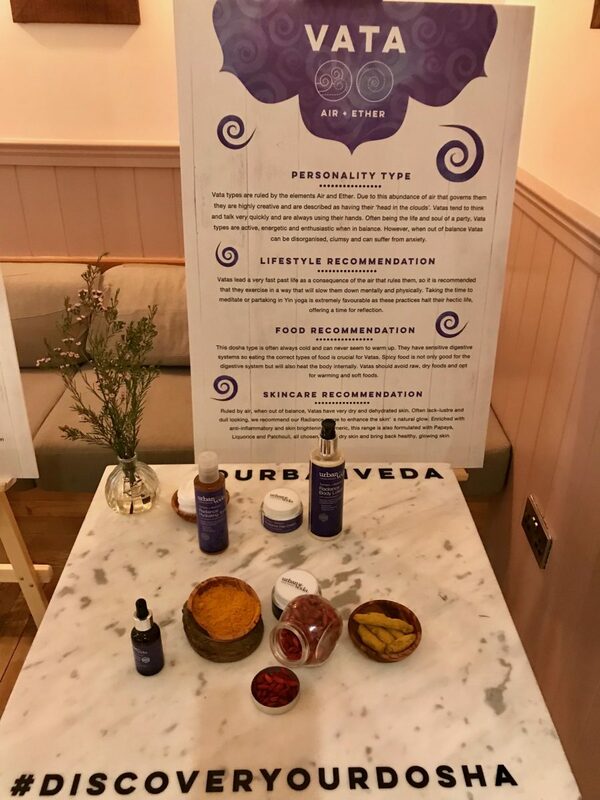 Love that Urban Veda not only utilise the mindfulness in regards to skincare, but also keep a focus on what we use to nourish our bodies from the inside out too.